It’s all Ally’s fault! She got me a book for Christmas called ‘Save this shirt’. Here‘s the link to it on Amazon. It was so very inspiring that I started to despair of ever being thin and unpregnant to make the beautiful suggestions inside! So a couple of weekends ago I got brave and decided to make a maternity version. Note this is *inspired by* save this shirt, but doesn’t feature in it! 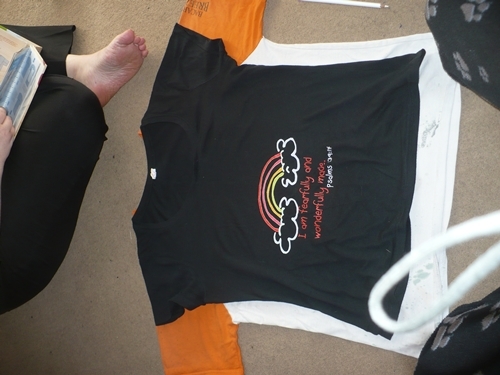 I ‘borrowed’ a T shirt from Jamie for the purpose. Clearly he doesn’t like it, as it’s not really been worn. 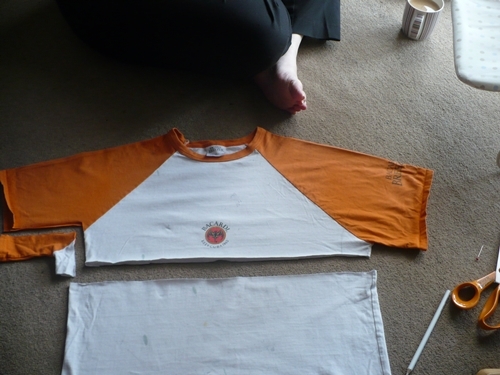 Actually I maade the shirt twice. 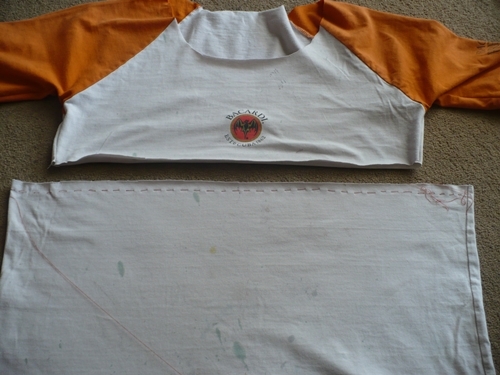 J doesn’t have so many respectible T shirts that I’d experiment on one! So the how to pix are all of the prototype (from an old painting top). 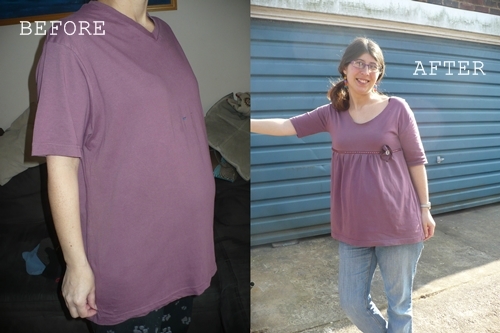 First I tried on the shirt and marked a pin at the ‘under bust’ sort of level, and then laid a T shirt that fits over the top to get widths. Thanks to Charlie for all her help/Moral support! 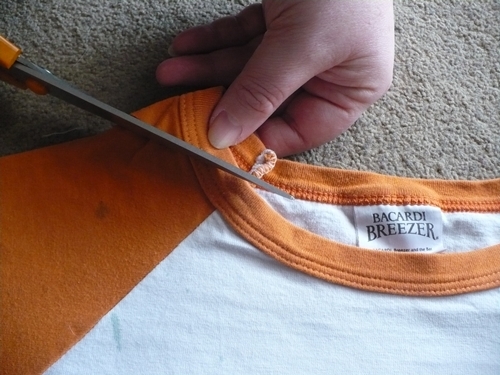 I cut the t shirt top from bottom at the pin line. 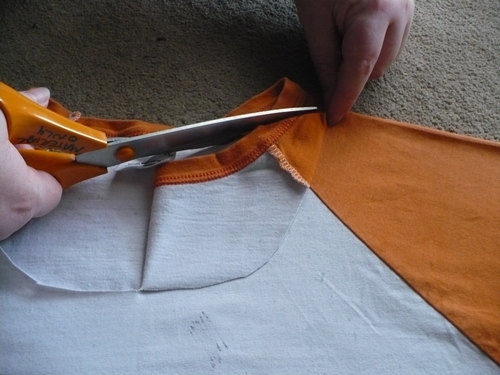 and cut the sleeve to a more fitted, girly width. The next three pix show cutting the neckline. I can’t really explain, but we (Charlie’s hands pictured) cut the neckline in a similar style to the existing fitting t-shirt. 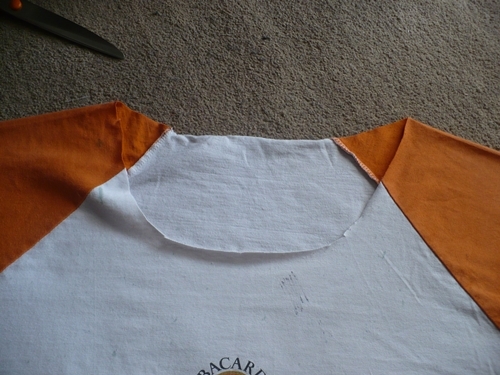 Turn it inside out, and stitch up the sides to make the bust part of the top back into a top. 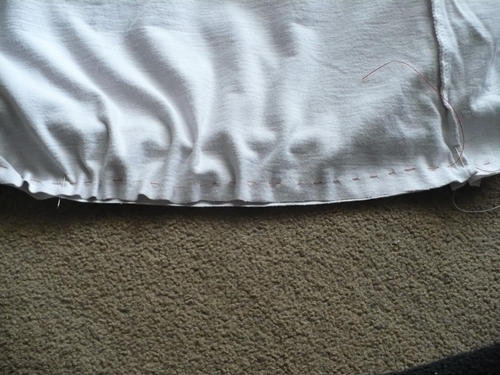 Run a gather running stitch with tacking thread along the top FRONT of the lower half of the shirt. 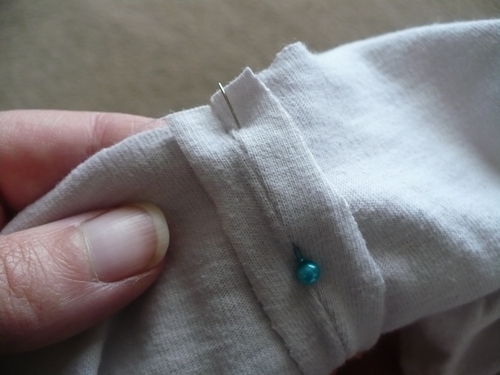 Turn the lower part inside out and put the bust part inside the lower half. (right sides together). 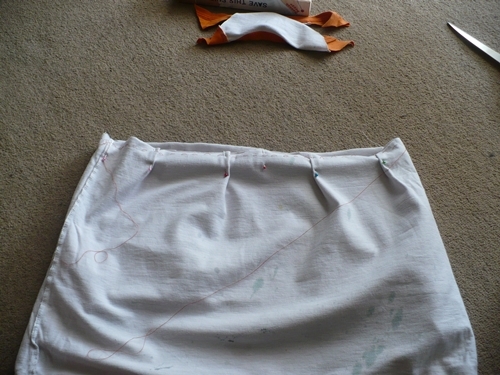 Pin the side seams together. 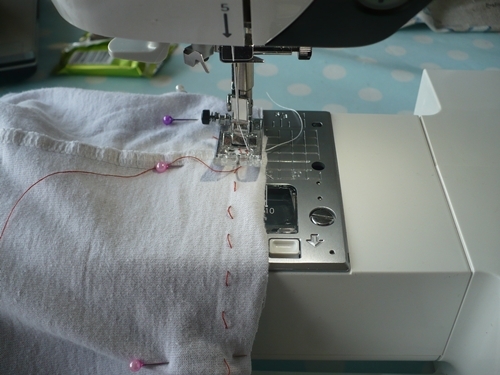 Pull up the gather thread, evening out the gathers and pin into place. This really depends on the size of shirt compared to you. I pushed all the gathers toward the middle leaving the sides smoother. Pin into place. 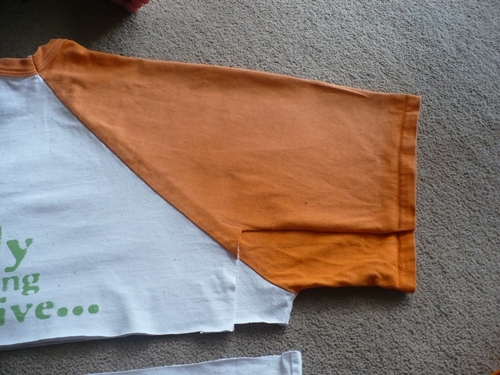 Stitch the two parts together. And there you have it! 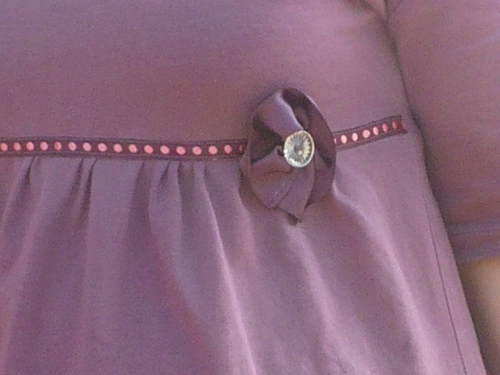 For the final version I sewed ribbon on the join and gathered up another length of ribbon to make the flower. The centre of the flower is a ‘vintage’ button inherited from my Nan’s button box when Mum was turning out! Thank you! Very gorgeous and clever! I need to buy that book…..
Now, that’s a really good refashion!!! I love the new top!!! Omgosh your good!! So pretty :)) Thanks so much for visiting my blog and leaving such a lovely comment. Just lovely! 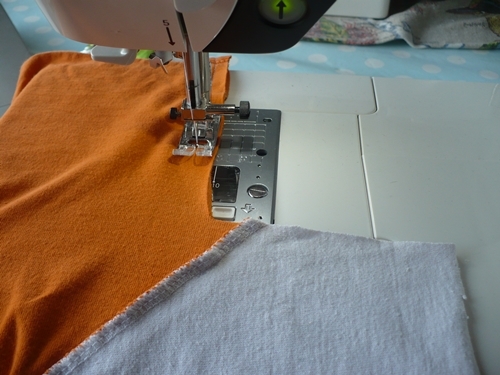 I’m amazed at what you can do with a sewing machine. I have one but can’t do much with it… Great before and after photos!! The cutest redo and the pretties mommy to be! Bet your baby is smilling when you wear the cute blouse! Super cute! 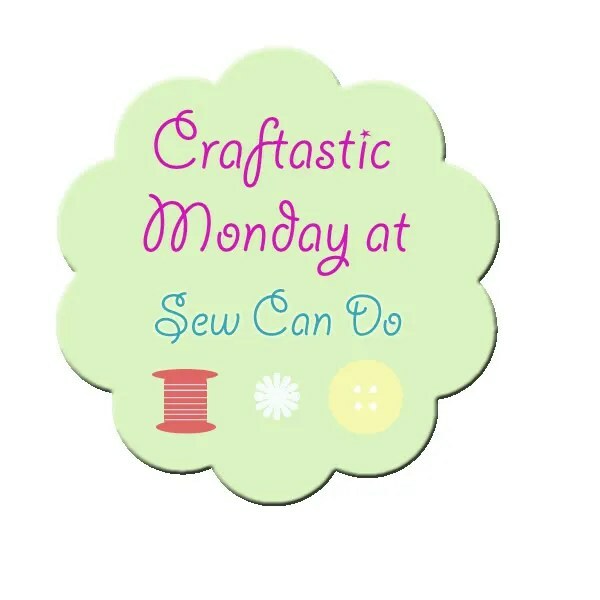 I’d love for you to link up to Crafty Cousins.